While the Gentleman Journalist like cars, what he really loves is clothes. 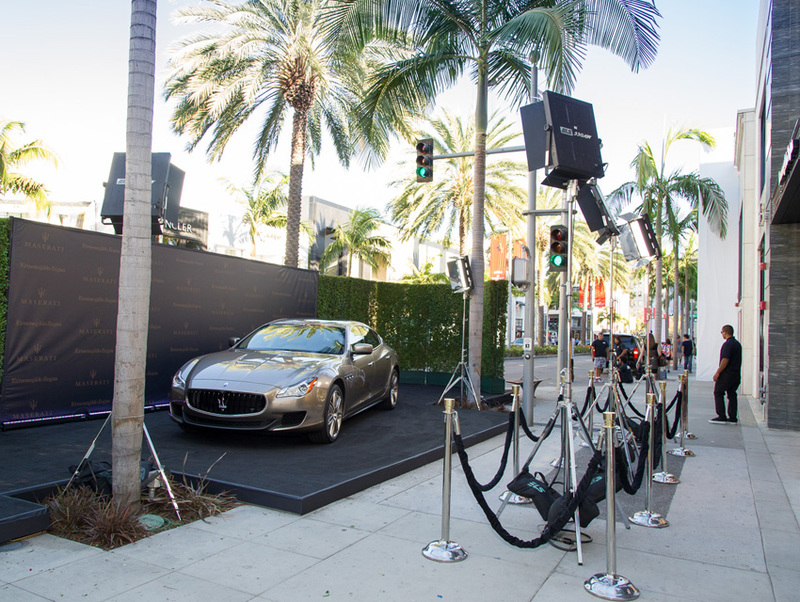 So, it didn’t take much cajoling to attend the Los Angeles launch of the $175,000 Maserati Quattroporte Ermenegildo Zegna Limited Edition at the Zegna store on Rodeo Drive last week. In fact, any car and clothing collaboration – from the Cartier edition Lincoln Continentals of the 1970s to the new Gucci x Fiat 500s – falls within my sartorial wheelhouse. My dream car, in fact, is the 2008 Citroen 2CV and Hermes collaboration. The gorgeous Zegna Quattroporte is limited to 100 models worldwide and comes decked out like the finest Su Misura Zenga suit with an exterior finished in Platinum Silk, a unique paint finish made to evoke the soft look of fabric. The interior of the Quattroporte Ermenegildo Zegna Limited Edition is even more impressive and is finished in warm colors like Moka and Greige and in a combination of leather and silk inspired by the fabrics of the Zegna menswear collections. We especially like the fine grey jersey silk fabric, specially designed by Ermenegildo Zegna, on the roof lining and sunshades. Just like a Zegna suit, the inside of the sunshades and a plate on the B-pillar carry exclusive brand labels “Ermenegildo Zegna Exclusively for Maserati” just so you – and whole world – knows. To which I thought, the Quattroporte as a third car? GOAALLLLLLLLLL!!!!! Maserati Quattroporte Ermenegildo Zegna Limited Edition is on sale now.